How long have the McClellands been farming? Depends on how you count. That’s Jolynn McClelland, née Mendoza, the daughter of two Sonoma County farming families. She was just 14 when she met a boy at the local county fair. That boy was Robert McClelland, himself the son of dairy farmers in this corner of northern California. When they first met, Jolynn and Robert were showing their prize cows and competing against each other. But the conversation between these two teenagers led first to a friendship, then to marriage, and finally to a family of their own. Long before they went into business for themselves, Robert and Jolynn knew what they wanted their farm to be. “Farms in this area have always been more pasture-based than in other places,” Jolynn explains. “We grow good grass because of the coastal climate.” And Robert was already acquainted with organic farming—his father had converted the family’s dairy to organic several years earlier. Now, with a young family of their own and prospects looking bright for Sonoma County farmers, the extended McClelland family has the time to look back and draw some lessons. “Both Robert and I knew we wanted to farm even when we were kids,” Jolynn says. “My dad used to say, ‘No way. There’s no future in it.’ But I was stubborn. 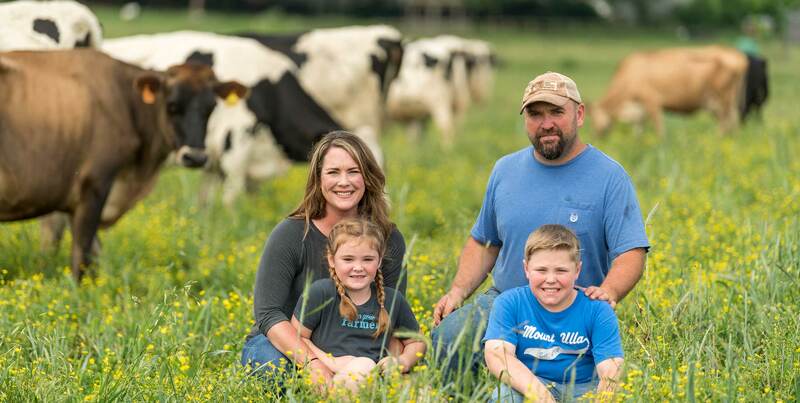 Robert and I were determined to farm and to raise our family in this lifestyle, and we were going to do it one way or another.” That’s how a fourth-generation dairy farmer—or is it sixth-generation?—enhances and passes on the family legacy.